In general, project finance covers green field industrial projects, capacity expansion at existing manufacturing units, construction ventures etc. 1. To purchase fixed assets: Every type of business needs some fixed assets like land and building, furniture, machinery etc. A large amount of money is required for purchase of these assets. 2. To meet day-to-day expenses: After establishment of a business, funds are needed to carry out day-to-day operations e.g., purchase of raw materials, payment of rent and taxes, telephone and electricity bills, wages and salaries, etc. 3. To fund business growth: Growth of business may include expansion of existing line of business as well as adding new lines. To finance such growth, one needs more funds. 4. To bridge the time gap between production and sales: The amount spent on production is realised only when sales are made. 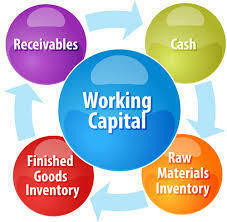 Normally, there is a time gap between production and sales and also between sales and realisation of cash. Hence during this interval, expenses continue to be incurred, for which funds are required. 5. To meet contingencies: Funds are always required to meet the ups and downs of business and for some unforeseen problems. Suppose, a manufacturer anticipates shortage of raw materials after a period, then he would like to stock the raw materials in large quantity. But he will be able to do so only if sufficient money is available with him. 6. To avail of business opportunities: Funds are also required to avail of business opportunities. Suppose a company wants to submit a tender for which some amount of money is required to be deposited along with the application. In case of non availability of funds it would not be possible for the company to submit the tender. Take another example. When a stockist offers special discount on large amount of purchase of any particular material then a manufacturer can avail of such offer, only if he has adequate funds to buy it. Loan amount could range from Rs.50 lakh to Rs.20 Cr. LAP is available from minimum 1 year to a maximum of 10 years. Rate of interest could be in the range of 11% to 14 % on monthly reducing basis. State Bank of India has been playing a vital role in the development of small scale industries since 1956. The Bank has developed a wide array of products to meet the changing needs of the industry. It provides end -to -end solutions for the financial needs of the industry. 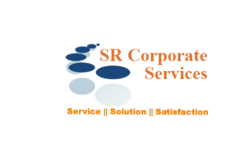 To service the specific credit needs of small and medium enterprise (SME) the Bank established the Small & Medium Enterprise business unit in 2004. Looking for Loan Against Property ?